Home » Blogs » Does the President's Budget Slash Medicare by $845 Billion? 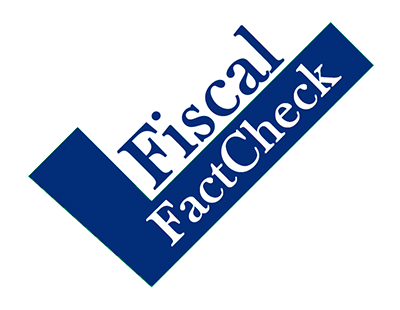 President Trump's Fiscal Year (FY) 2020 budget released Monday has been met with significant criticism, especially from us. But one of the most widely-repeated critiques of the budget focuses on its proposed Medicare changes and incorrectly describes their effects. A number of media outlets, several policymakers, and numerous political operatives have said the budget would cut Medicare by $845 billion and attacked these reductions, implying they represent large cuts to Medicare beneficiaries. This claim is largely false. In reality, the budget reduces Medicare spending by $515 billion or $575 billion (depending on how one measures). And rather than coming from benefit reductions, these savings come largely from policies that would reduce the cost of care for the taxpayer and Medicare beneficiaries – and many of them build upon ideas originally proposed in President Obama's budgets. The oft-cited $845 billion estimate represents the gross difference in Medicare costs between the Office of Management and Budget’s (OMB) baseline and the President's proposed budget over the next decade. However, about one-third of that stems from moving two parts of Medicare – Disproportionate Share Hospital (DSH) payments and Graduate Medical Education (GME) payments – out of Medicare and into other parts of the budget. Most of the spending would continue, just not as part of Medicare. Some might argue that even the $575 billion number is too high, since it counts savings that accrue to Medicare due to policy changes outside of Medicare – for example, by enacting medical malpractice liability reform. Direct Medicare reductions, excluding these more general policies, are roughly $515 billion. Sources: President's budget, HHS budget. For context, Medicare spending is projected to total $10.2 trillion over the next ten years and grow by 111 percent between 2019 and 2029. After the reductions described above, spending would total $9.7 trillion and grow between 90 percent and 95 percent over the 2019-2029 window. And importantly, these reductions in growth would not come from reducing benefits or increasing out-of-pocket costs but instead would come mainly from policies that would reduce out-of-pocket costs for seniors. We estimate that about 85 percent of the $575 billion in savings comes from reductions in provider payments – many of which closely resemble or build upon proposals made in President Obama’s budgets. Though these changes could impact quality of and access to care on the margins, mainly they would help Medicare to offer care more efficiently. As a side effect, lower costs would reduce coinsurance and premiums paid by seniors. Another 5 percent of the savings, by our estimate, would come from policies that reduce overall health care costs and improve Medicare’s finances as a side effect. The remaining tenth of the savings would come from reforms to Medicare Part D’s benefit design. These changes would reduce cost sharing for some seniors (especially those who buy generic drugs or have very high out-of-pocket costs) and increase cost sharing for others. Outside of the Part D benefit redesign, there are no proposed changes in premiums, deductible, copays, or coinsurance and no significant changes to benefits themselves. Costs would generally fall for both beneficiaries and the federal government. *Mostly from medical malpractice liability reform. +These policies would reduce out-of-pocket costs for some seniors – especially those with high catastrophic costs and who purchase generic drugs – while increasing them modestly for others. Criticisms of the Medicare savings in the President’s budget, in addition to being overstated by roughly $300 billion, are similar in kind to the often-attacked $716 billion of Medicare savings from Obamacare. These savings (which we explained here) were sometimes portrayed as benefit cuts and often demagogued. Most fact-checkers of these claims correctly pointed out that the Medicare reductions were being misleadingly portrayed as huge reductions in benefit levels when they mostly reflected lower costs per service. This isn’t to say that President Trump’s Medicare proposals create all winners and no losers. There are of course tradeoffs, as with every budget proposal. But the actual savings to Medicare in President Trump's budget is more accurately described as $515 billion or $575 billion, not $845 billion. These policies would reduce, rather than increase, costs for many seniors. Many of those attacking the cuts supported similar cuts under President Obama. And even with these reductions, Medicare costs will still continue to grow rapidly.